Travel Direct by booking a ticket on a joint bus and ferry service from Koh Tao to Hat Yai. 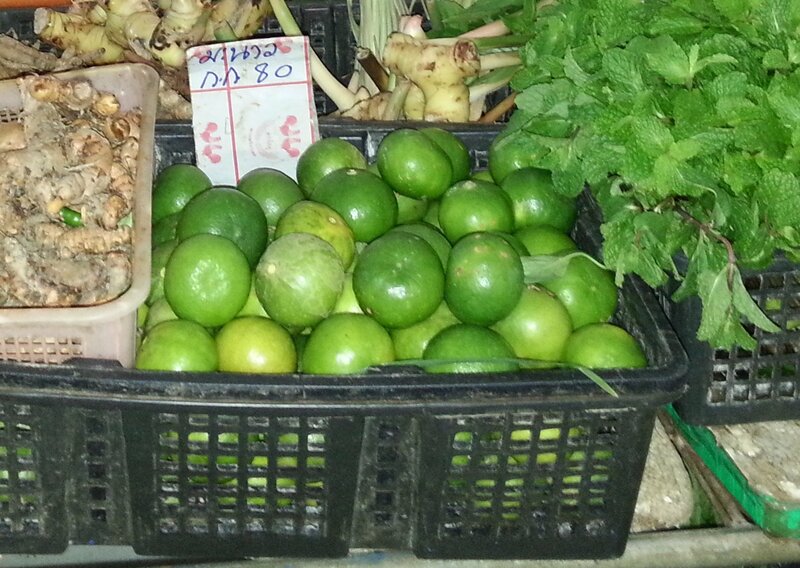 Travel by Train via Chumphon Train Station to Hat Yai. Travel by Minivan via Surat Thani City to Hat Yai. 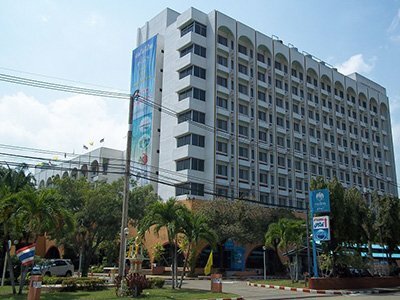 There are three direct services a day from Koh Tao to Hat Yai combining ferry and bus transfer which transport passengers from Koh Tao’s Mae Haad Ferry Pier to Hat Yai City Centre. The Lomprayah High Speed Ferry company also sells children’s tickets (2 to 11 years of age) at the reduced price of 600 THB per person on the 06.00 departure and 550 THB per person on the 09.30 departure. Use the Search Box below to buy your tickets from Koh Tao to Hat Yai on any of the three direct services from Koh Tao to Hat Yai. Enter your Travel Date using the calendar icon. Select the service which best meets your requirement and buy your ticket. 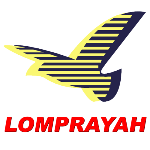 The Lomprayah High Speed Ferry Company is the premier provider of travel services in the Gulf of Thailand. They have a fleet of high speed catamaran ferries which complete the sea crossing from Koh Tao to the mainland ferry port in Donsak (Surat Thani Province) in 2 hours 45 minutes. From Donsak passengers with the Lomprayah High Speed Ferry Company travel to Hat Yai in a minivan. Journey Time: 9 hours to 10 hours 30 minutes. Cost: 1,000 to 1,100 THB. Final Stop: Hat Yai Minivan Station. The Seatran Discovery company is also a high quality provider of travel services. Seatran Discovery ferries are slower than the ones used by the Lomprayah High Speed Ferry Company and take 4 hours to complete the sea crossing to the mainland Seatran ferry port aslo in Donsak. 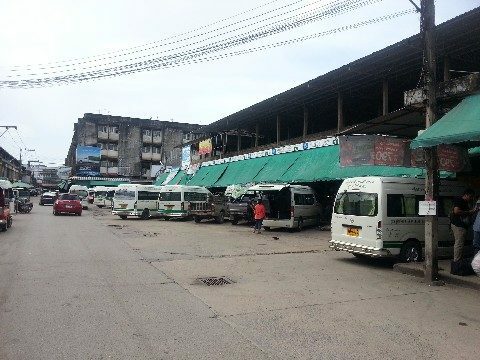 From Don Sak passengers travel in a bus rather than a minivan to Hat Yai. Final Stop: Hat Yai Bus Station. Part 1: Take a ferry from Koh Tao to one of the ferry ports south of Surat Thani in Donsak, or alternatively the Night Boat direct to Surat Thani in which case you do not need to read about Part 2 of the journey below. Stage 2: Travel from Donsak into Surat Thani city itself to catch a minivan. All of the ferry operators running services from Koh Tao to Donsak also offer the bus journey from Donsak to Surat Thani city as an optional add-on to the ferry ticket. Stage 3: You can board a minivan at either one of the travel agencies on the Talad Mai Road or for a cheaper ticket go direct to Talad Kaset Bus Station 2, just off the Talad Mai Road, which is where minivans to Hat Yai depart before picking up customers at the travel agencies in the city who add a fee on top of what the operator of the minivan will charge. Once you factor in the cost of taking the ferry and bus from Koh Tao to Surat Thani city, and the cost of the minivan, you only save around 200 THB compared to the cost of paying for one of the direct services and your journey time will increase by at least 2 hours. Few people bother taking this option unless the direct services are already fully booked. The closest train station to Koh Tao is in Cumphon. From Koh Tao it takes around 2 hours 30 minutes to 3 hour to travel to Chumphon Train Station. The journey from Koh Tao to Surat Thani Train Station takes a lot longer, 4 to 8 hours, depending upon how you travel. Koh Tao to Chumphon Train Station: First take a ferry northward to the Thai mainland, and from the ferry port a bus into Chumphon city. 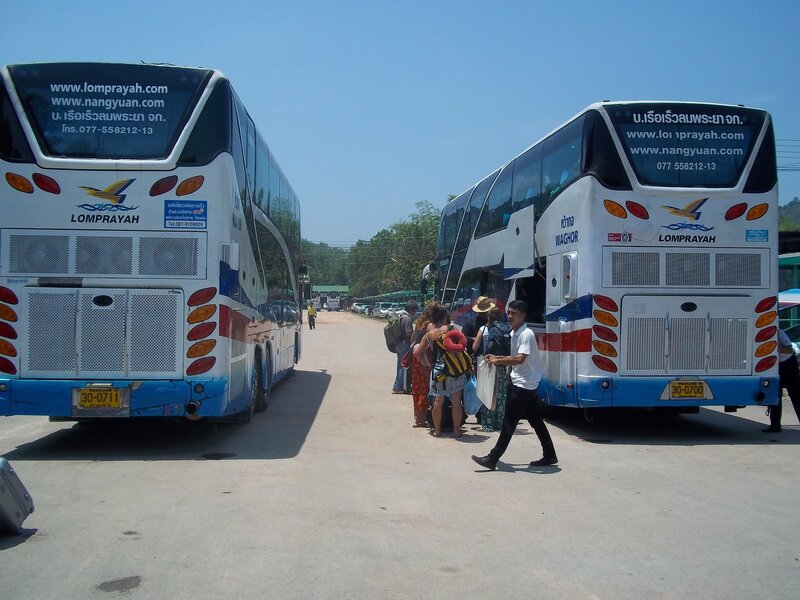 Most travellers opt to book one of the joint ferry and bus services from Koh Tao to Chumphon Train Station. Trains to Hat Yai: There are 6 direct trains a day from Chumphon to Hat Yai.